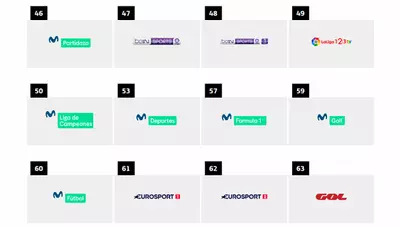 Toca ver los modelos de Smart TV compatibles con Movistar+ después de ver hace unas semanas los modelos de Smart TV que permiten ver DAZN. Ya sabemos que la opción prioritaria sigue siendo el decodificador tradicional conectado por HDMI al televisor, pero cada vez son más lo que utilizan los dispositivos alternativos ya sea para verlo fuera de casa o desde su propia casa en otras estancias o dispositivos. Precisamente, las Smart TV son una buena opción para ello. 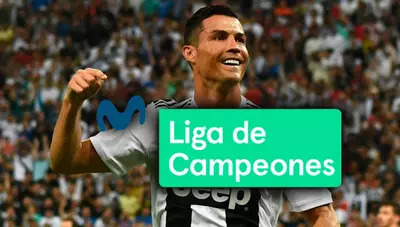 Movistar+ en dispositivos a acceso a más de 50 canales en directo, 15.000 contenidos bajo demanda y 10.000 títulos disponibles para descargar. 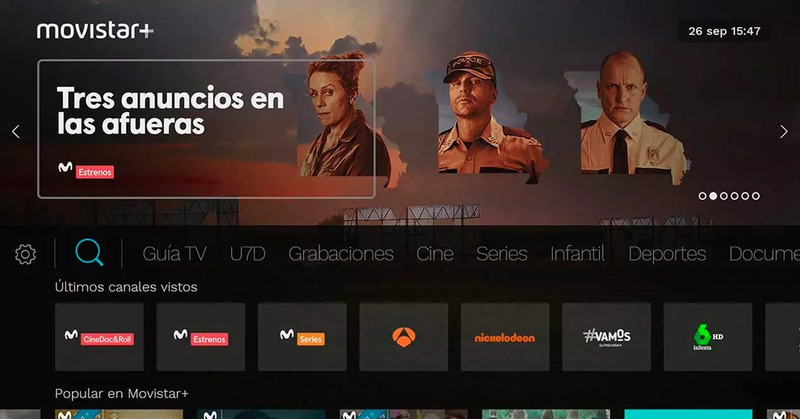 Con esta cantidad de contenido para ver, una Smart TV se coloca como la mejor opción. 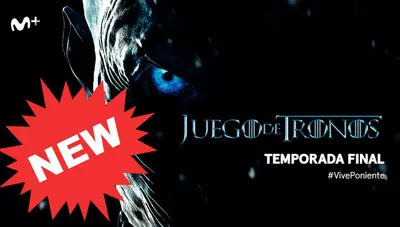 Según la web oficial de soporte de Movistar+ en dispositivos, estos son las marcas y modelos de Smart TV compatibles. UE26EH4500WXXC, UE26EH4510WXXC, UE32EH5300WXXC, UE37EH5300WXXC, UE40EH5300WXXC, UE46EH5300WXXC, PS51E550D1WXXC, PS64E8000GSXXC, UE22ES5400WXXC, UE22ES5410WXXC, UE32ES5500WXXC, UE32ES6100WXXC, UE32ES6140WXXC, UE32ES6710SXXC, UE32ES6800SXXC, UE37ES5500WXXC, UE37ES5700SXXC, UE37ES6100WXXC, UE37ES6140WXXC, UE37ES6710SXXC, UE40ES5500WXXC, UE40ES5700SXXC, UE40ES6100WXXC, UE40ES6140WXXC, UE40ES6800SXXC, UE40ES6540SXXC, UE40ES6570SXXC, UE40ES7000SXXC, UE40ES6710SXXC, UE40ES8000SXXC, UE46ES5500WXXC, UE46ES5700SXXC, UE46ES6100WXXC, UE46ES6140WXXC, UE46ES6500WXXC, UE46ES6540SXXC, UE46ES6570SXXC, UE46ES6710SXXC, UE46ES6800SXXC, UE46ES7000SXXC, UE46ES8000SXXC, UE50ES5500WXXC, UE50ES6100WXXC, UE50ES6140WXXC, UE50ES6710SXXC, UE55ES6100WXXC, UE55ES6500WXXC, UE55ES6530SXXC, UE55ES6800SXXC, UE55ES7000SXXC, UE55ES8000SXXC, UE60ES6100WXXC, UE65ES8000SXXC, UE75ES9000SXXC, PS60E550D1W, PS64E8000GS. UE22F5400AWXXC, UE22F5410AWXXC, UE32F4500AWXXC, UE32F4510AWXXC, UE32F5300AWXXC, UE32F5500AWXXC, UE32F5700AWXXC, UE32F6200AWXXC, UE32F6400AWXXC, UE32F6510SSXXC, UE39F530 0AWXXC, UE39F5500AWXXC, UE39F5700AWXXC, UE40F6200AWXXC, UE40F5300AWXXC, UE40F5500AWXXC, UE40F5700AWXXC, UE46F6500SSXXC, UE46F6510SSXXC, UE46F6640SSXXC, UE46F6670SSXXC, UE46F7000SLXXC, UE46F8000SLXXC, UE46F8500SLXXC, UE50F5500AWXXC, UE50F6200AWXXC, UE50F5700AWXXC, UE50F6400AWXXC, UE50F6640SSXXC, UE50F6500SSXXC, UE55F6320AWXXC, UE55F6400AWXXC, UE55F6500SSXXC, UE55F6510SSXXC, UE40F6320AWXXC, UE40F6400AWXXC, UE40F6500SSXXC, UE40F6510SSXXC, UE40F6640SSXXC, UE40F6670SSXXC, UE40F7000SLXXC, UE40F8000SLXXC, UE42F5300AWXXC, UE42F5500AWXXC, UE42F5700AWXXC, UE46F5300AWXXC, UE46F5500AWXXC, UE46F5700AWXXC, UE46F6200AWXXC, UE46F6320AWXXC, UE46F6400AWXXC, UE55F6640SSXXC, UE55F6670SSXXC, UE55F7000SLXXC, UE55F8000SLXXC, UE55F8500SLXXC, UE55F9000SLXXC, UE60F6300AWXXC, UE60F7000SLXXC, UE65F6400AWXXC, UE65F8000SLXXC, UE65F9000SLXXC, UE75F6400AWXXC, UE75F8000SLXXC, UE85S9SLXXC, PS60F5500AWXXC, PS51F5500AWXXC. UE40H4203AWXXC, UE32H4500AWXXC, UE32H4510AWXXC, UE32H5303AWXXC, UE22H5600AWXXC, UE22H5610AWXXC, UE32H5500AWXXC, UE32H5570SSXXC, UE32H6200AWXXC, UE32H6400AWXXC, UE32H6410SSXXC, UE40H5040AWXXC, UE40H5500AWXXC, UE40H5570SSXXC, UE40H6200AWXXC, UE40H6240AWXXC, UE40H6400AWXXC, UE40H6410SSXXC, UE40H6500SLXXC, UE40H6640SLXXC, UE40H7000SLXXC, UE40HU6900SXXC, UE46H7000SLXXC, UE48H4203AWXXC, UE48H5500AWXXC, UE48H5570SSXXC, UE48H6200AWXXC, UE48H6240AWXXC, UE48H6400AWXXC, UE48H6410SSXXC, UE48H6500SLXXC, UE48H6640SLXXC, UE48H6800AWXXC, UE48H8000SLXXC, UE48HU7500LXXC, UE50H6400AWXXC, UE50HU6900SXXC, UE55H6200AWXXC, UE55H6240AWXXC, UE55H6400AWXXC, UE55H6410SSXXC, UE55H6500SLXXC, UE55H6640SLXXC, UE55H6800AWXXC, UE55H7000SLXXC, UE55H8000SLXXC, UE55HU6900SXXC, UE55HU7100SXXC, UE55HU7200SXXC, UE55HU7500LXXC, UE55HU8200LXXC, UE55HU8500LXXC, UE60H6200AWXXC, UE60H7000SLXXC, UE65H6400AWXXC, UE65HU7100SXXC, UE65HU7200SXXC, UE65H8000SLXXC, UE65HU7500LXXC, UE65HU8200LXXC, UE65HU8500LXXC, UE75H6400AWXXC, UE75HU7500LXXC, UE78HU8500LXXC, UE85HU7500LXXC. UE32K5500AKXXC, UE32K5570SUXXC, UE32K5600AKXXC, UE40K5500AKXXC, UE40K5510AKXXC, UE40K5570SUXXC, UE40K5600AKXXC, UE40K6300AKXXC, UE40K6370SUXXC, UE40KU6000KXXC, UE40KU6100KXXC, UE40J6240AKXXC, UE40KU6400UXXC, UE40KU6450UXXC, UE40KU6470UXXC, UE43KU6000KXXC, UE43KU6400UXXC, UE43KU6500UXXC, UE43KU6510UXXC, UE43KU6640UXXC, UE43KU6650UXXC, UE43KU6670UXXC, UE43KS7500UXXC, UE49K5500AKXXC, UE49K5510AKXXC, UE49K5570SUXXC, UE49K5600AKXXC, UE49K6300AKXXC, UE49K6370SUXXC, UE49KU6100KXXC, UE49KU6400UXXC, UE49KU6450UXXC, UE49KU6470UXXC, UE49KU6500UXXC, UE49KU6510UXXC, UE49KU6640UXXC, UE49KU6650UXXC, UE49KU6670UXXC, UE49KS7000UXXC, UE49KS7500UXXC, UE49KS8000TXXC, UE49KS9000TXXC, UE50J6240AKXXC, UE50KU6000KXXC, UE55K5100AWXXC, UE55K5500AKXXC, UE55K5510AKXXC, UE55K5570SUXXC, UE55K5580SUXXC, UE55K5600AKXXC, UE55K5670SUXXC, UE55K6300AKXXC, UE55K6370SUXXC, UE55KU6000KXXC, UE55KU6100KXXC, UE55J6240AKXXC, UE55KU6400UXXC, UE55KU6450UXXC, UE55KU6470UXXC, UE55KU6500UXXC, UE55KU6510UXXC, UE55KU6640UXXC, UE55KU6650UXXC, UE55KU6670UXXC, UE55KS7000UXXC, UE55KS7500UXXC, UE55KS8000TXXC, UE55KS9000TXXC, UE60KU6000KXXC, UE60J6240AKXXC, UE60KS7000UXXC, UE65KU6000KXXC, UE65KU6400UXXC, UE65KU6500UXXC, UE65KU6680UXXC, UE65KS7000UXXC, UE65KS7500UXXC, UE65KS8000TXXC, UE65KS9000TXXC, UE65KS9500TXXC, UE70KU6000KXXC, UE75KS8000TXXC, UE78KU6500UXXC, UE78KS9000TXXC, UE78KS9500TXXC, UE88KS9800TXXC. UE32M5505AKXXC, UE32M5575AUXXC, UE32M5605AKXXC, UE40MU6105KXXC, UE40MU6125KXXC, UE40MU6405UXXC, UE40MU6445UXXC, UE43M5505AKXXC, UE43M5515AKXXC, UE43M5575AUXXC, UE43M5605AKXXC, UE43MU6105KXXC, UE43MU6125KXXC, UE49M5505AKXXC, UE49M5515AKXXC, UE49M5575AUXXC, UE49M5605AKXXC, UE49M6305AKXXC, UE49MU6105KXXC, UE49MU6125KXXC, UE49MU6205KXXC, UE49MU6405UXXC, UE49MU6445UXXC, UE49MU6505UXXC, UE49MU6645UXXC, UE49MU6675UXXC, UE49MU7005TXXC, UE49MU8005TXXC, UE49MU9005TXXC, QE49Q7FAMTXXC, UE50MU6105KXXC, UE55M5505AKXXC, UE55M5515AKXXC, UE55M5605AKXXC, UE55M6305AKXXC, UE55MU6105KXXC, UE55MU6205KXXC, UE55MU6405UXXC, UE55MU6445UXXC, UE55MU6505UXXC, UE55MU6645UXXC, UE55MU6675UXXC, UE55MU7005TXXC, UE55MU8005TXXC, QE55Q7FAMTXXC, QE55Q7CAMTXXC, QE55Q8CAMTXXC, UE65MU6105KXXC, UE65MU6205KXXC, UE65MU6405UXXC, UE65MU6445UXXC, UE65MU6505UXXC, UE65MU6645UXXC, UE65MU6675UXXC, UE65MU7005TXXC, UE65MU8005TXXC, UE65MU9005TXXC, QE65Q7FAMTXXC, QE65Q7CAMTXXC, QE65Q8CAMTXXC, QE65Q9FAMTXXC, UE75MU6105KXXC, UE75MU7005TXXC, UE75MU8005TXXC, QE75Q7FAMTXXC, QE75Q8CAMTXXC, UE82MU7005TXXC, QE88Q9FAMTXXC, UE55LS003AUXXC, UE65LS003AUXXC, QE55Q6FAMTXXC, QE55Q8FAMTXXC, QE65Q8FAMTXXC, UE43MU6175UXXC, UE49MU6175UXXC, UE49MU6225KXXC, UE49MU7055TXXC, UE50MU6125KXXC, UE55MU6125KXXC, UE55MU6225KXXC, UE55MU7055TXXC, UE58MU6125KXXC, UE65MU6125KXXC, UE75MU6125KXXC. QE49Q6FNATXXC, QE55Q6FNATXXC, QE55Q7FNATXXC, QE55Q8CNATXXC, QE55Q8DNATXXC, QE55Q8FNATXXC, QE55Q9FNATXXC, QE65Q6FNATXXC, QE65Q7FNATXXC, QE65Q8CNATXXC, QE65Q8DNATXXC, QE65Q8FNATXXC, QE65Q900RATXXC, QE65Q9FNATXXC, QE75Q6FNATXXC, QE75Q7FNATXXC, QE75Q900RATXXC, QE75Q9FNATXXC, QE82Q6FNATXXC, QE85Q900RATXXC, UE40NU7125KXXC, UE43LS03NAUXXC, UE43NU7025KXXC, UE43NU7095UXXC, UE43NU7125KXXC, UE43NU7195UXXC, UE43NU7405UXXC, UE43NU7475UXXC, UE49LS03NAUXXC, UE49NU7105KXXC, UE49NU7305KXXC, UE49NU8005TXXC, UE49NU8075TXXC, UE50NU7025KXXC, UE50NU7095UXXC, UE50NU7405UXXC, UE50NU7445UXXC, UE50NU7475UXXC, UE55LS03NAUXXC, UE55NU7025KXXC, UE55NU7026KXXC, UE55NU7095UXXC, UE55NU7105KXXC, UE55NU7305KXXC, UE55NU7405UXXC, UE55NU7445UXXC, UE55NU7475UXXC, UE55NU8005TXXC, UE55NU8075TXXC, UE55NU8505TXXC, UE58NU7105KXXC, UE65LS03NAUXXC, UE65NU7025KXXC, UE65NU7095UXXC, UE65NU7105KXXC, UE65NU7405UXXC, UE65NU7445UXXC, UE65NU7475UXXC, UE65NU8005TXXC, UE65NU8505TXXC, UE75NU7105KXXC, UE75NU8005TXXC, UE82NU8005TXXC, UE40N5300AKXXC, UE32M5525AKXXC. HT-ES4200, HT-E5550, HT-ES6600, HT-F6500, HT-E4500, HT-E6500, HT-ES8200, HT-F9750W, HT-E5200, HT-E6750W, HT-F5500, HT-H7500WM, HT-E5500, HT-ES6200, HT-FS5200. BD-E6100, BD-E8500, BD-F8500, BD-H8900, BD-ES6000E, BD-E8900, BD-F8900, UBD – M9500/ZF, BD-ES7000, BD-F6500, BD-H6500, UBD – M8500/ZF, BD-E8300, BD-F7500, BD-H8500. 65LM620s, 55LM649s, LM669s, 42LM760s, 55LM960V, 42LS575s, 55LM620s, 47LM649s, 55LM670s, 55LM765s, 47LM960V, 37LS575s, 47LM620s, 42LM649s, 47LM670s, 47LM765s, 42LS570s, 32LS575s, 42LM620s, 55LM660s, 42LM670s, 42LM765s, 37LS570s, 60PM9700, 37LM620s, 47LM660s, 55LM671s, 55LM860V, 32LS570s, 50PM9700, 32LM620s, 42LM660s, 47LM671s, 47LM860V, 72LM950V, 42LM640s, 55LM640s, 32LM660s, 42LM671s, 42LM860V, 84LM960V. 55EA880V, 42LA641s, 32LA667s, 42LA740s, 55LA965v, 60LN575s, 55EA980V, 32LA620s, 42LA620s, 47LA620s, 50LA620s, 55LA620s, 47LA641s, 55LA641s, 50LA660s, 32LA660s, 42LA660s, 55LA690s, 47LA690s, 42LA690s, 55LA691s, 47LA691s, 60LA740s, 55LA790v, 47LA790v, 55LA860v, 47LA860v, 65LA970v, 42LN5708, 47LN5708, 32LN5708, 32LN570R, 32LN575s, 42LN575s, 47LN575s, 55LN575s, 39LN577s, 50LN577s, 60LA620s, 47LA660s, 42LA691s, 42LA860v, 32LN570s, 60LN577s, 39LA620s, 55LA660s, 55LA692s, 60LA860v, 42LN570s, 32LN577s, 42LA640s, 50LA667s, 47LA692s, 70LA860v, 47LN570s, 42LN577s, 55LA667s, 42LA692s, 55LA960v, 50LN570s, 47LN577s, 47LA667s, 42LA667s, 55LA740s, 47LA740s, 47LA960v, 65LA965v, 39LN575s, 50LN575s, 55LN577s, 32LN613s, 47LN613s, 42LN613s. 55EA880V, 60LB5800, 42LB5820, 32LB650V, 55LB700V, 55UB820V, 49UB820V, 42UB820V, 55UB830V, 49UB830V, 55UB850V, 49UB850V, 60UB850V, 65UB950V, 55UB950V, 98UB980V, 84UB980V, 79UB980V, 55EA970V, 55LB5800, 32LB5820, 55LB652V, 47LB700V, 55EA980V, 50LB5800, 55LB630V, 47LB652V, 42LB700V, 55EC930V, 47LB5800, 47LB630V, 42LB652V, 65LB730V, 65EC970V, 42LB5800, 42LB630V, 55LB670V, 60LB730V, 77EC980V, 39LB5800, 70LB650V, 50LB670V, 55LB730V, 50LB5700, 32LB5800, 60LB650V, 47LB670V, 47LB730V, 47LB5700, 32LB580B, 55LB650V, 42LB670V, 42LB730V, 42LB5700, 60LB5820, 50LB650V, 55LB671V, 60LB870V, 32LB5700, 55LB5820, 47LB650V, 50LB671V, 55LB870V, 39LB5700, 50LB5820, 42LB650V, 47LB671V, 49LB870V, 32LB570B, 47LB5820, 39LB650V, 42LB671V, 40UB800V, 55UC970V, 65UC970V, 65UB980V. 55EF950V, 49LF590V, 55LF632V, 40UF695V, 79UF770V, 60UF851V, 65EF950V, 55LF590V, 32LF650V, 49UF695V, 49UF8007, 65UF851V, 55EG910V, 32LF592U, 42LF652V, 55UF695V, 55UF8007, 55UF8607, 55EG920V, 32LF630V, 50LF652V, 60UF695V, 65UF8007, 65UF860V, 55EG960V, 40LF630V, 55LF652V, 40UF7707, 49UF8507, 79UF860V, 65EG960V, 43LF630V, 43UF6407, 43UF7707, 55UF8507, 55UF860V, 32LF5800, 49LF630V, 49UF6407, 49UF7707, 60UF850V, 55UF950V, 42LF5800, 55LF630V, 43UF6807, 55UF7707, 65UF850V, 65UF950V, 50LF5800, 32LF632V, 49UF6807, 60UF770V, 55UF850V, 55UG870V, 55LF5800, 43LF632V, 55UF6807, 65UF770V, 49UF8517, 65UG870V, 43LF590V, 49LF632V, 49UF6907, 70UF770V, 55UF8517, 79UG880V. OLED77G6, 86UH950V, 65UH770V, 49UH660V, 60UH625V, 49UH600V, OLED65G6, 65UH950V, 60UH770V, 43UH660V, 55UH625V, 55LH604V, OLED65E6, 55UH950V, 55UH770V, 65UH650V, 49UH625V, 49LH604V, OLED55E6, 75UH850V, 49UH770V, 60UH650V, 43UH625V, 43LH604V, OLED65C6, 65UH850V, 65UH750V, 55UH650V, 65UH610V, 32LH604V, OLED55C6, 60UH850V, 55UH750V, 49UH650V, 60UH610V, 49LH590V, OLED65B6, 55UH850V, 49UH750V, 43UH650V, 55UH610V, 43LH590V, OLED55B6, 49UH850V, 43UH750V, 58UH635V, 49UH610V, 32LH590V, 55EG910V, 55UH790V, 70UH700V, 50UH635V, 43UH610V, 43LH560V, 75UH770V, 49UH790V, 55UH660V, 65UH660V, 65UH620V, 40UH635V, 55UH600V, 65UH600V. 65OLEDC7, 60SJ850V, 65UJ750V, 65UJ670V, 55UJ635V, 55UJ630V, 55OLEDC7, 55SJ850V, 60UJ750V, 55UJ670V, 49UJ635V, 49UJ630V, 65OLEDB7, 65SJ810V, 55UJ750V, 49UJ670V, 43UJ635V, 43UJ630V, 55OLEDB7, 60SJ810V, 49UJ750V, 43UJ670V, 65UJ634V, 55LJ625V, 55EG9A7, 55SJ810V, 43UJ750V, 75UJ655V, 60UJ634V, 49LJ624V, 86SJ957V, 49SJ810V, 65UJ701V, 65UJ650V, 55UJ634V, 43LJ624V, 75SJ955V, 65SJ800V, 55UJ701V, 60UJ650V, 49UJ634V, 55LJ615V, 65SJ950V, 60SJ800V, 49UJ701V, 55UJ650V, 43UJ634V, 49LJ614V, 55SJ950V, 55SJ800V, 43UJ701V, 49UJ650V, 65UJ630V, 43LJ614V, 65SJ850V, 49SJ800V, 75UJ675V, 43UJ650V, 60UJ630V, 32LJ610V, , 49LJ594V, , 43LJ594V, , 32LJ590U. 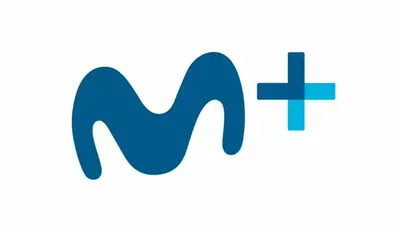 Según la web de soporte de Movistar+, son compatibles todos los modelos desde el año 2014 en adelante y con versión de sistema operativo de 5.0 en adelante. 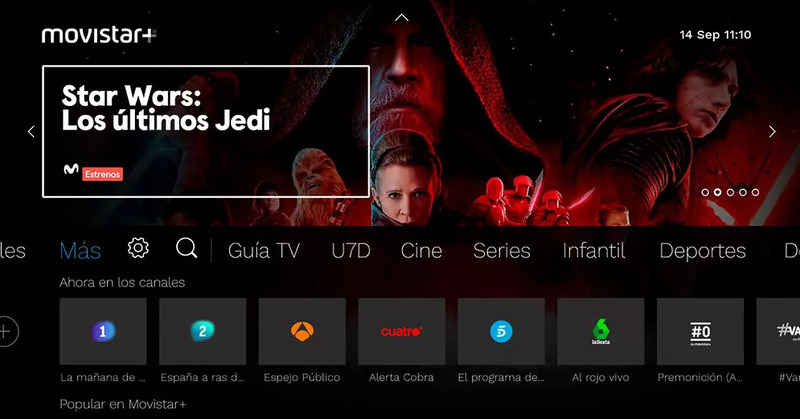 Esto hace que funcione en Sony, Philips, Nvidia Shield, Xiaomi Mi Box TV, Sharp, Thomson, TCL y Hisense siempre que cumplan esas condiciones. Descargando la aplicación desde el Marketplace de aplicaciones podemos utilizar el dispositivo para streaming de Amazon. 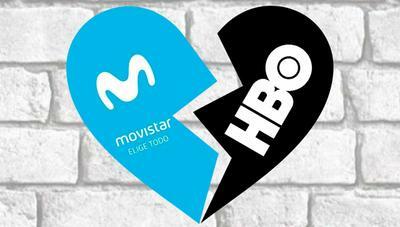 Resuelve cualquier duda en el Foro Movistar TV de ADSLZone. Yo tengo una Thomson con Android 7.0 y no funciona la app…se descarga bien, se instala bien, entro con mi usuario y pass bien, pero a la hora de ver contenido da error. Yo tengo un Apple TV y no funciona, tengo una play y no funciona, y en la habitación tengo una que si que va pero tiene el fútbol capado. 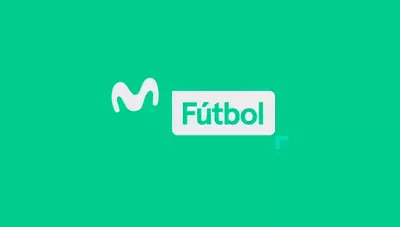 Os olvidáis de METZ, marca con Android TV 8.0 y que es 100% compatible con la app de Movistar+. En concreto las series G2A y S9A por ahora.